In the works of Michael Schäfer, realities collide: screen shots of videos taken from the net juxtaposed with his own photographic images are the material for his montages. The exhibition consists of two series. The series “Invasive Links” shows people in everyday situations strangely misplaced in the middle of Syrian or Iraq war scenes. These works are presented as large-scale photographs on wallpaper. The work complex, “Nacht,” shows video stills of assaults and attacks which took place in Germany. 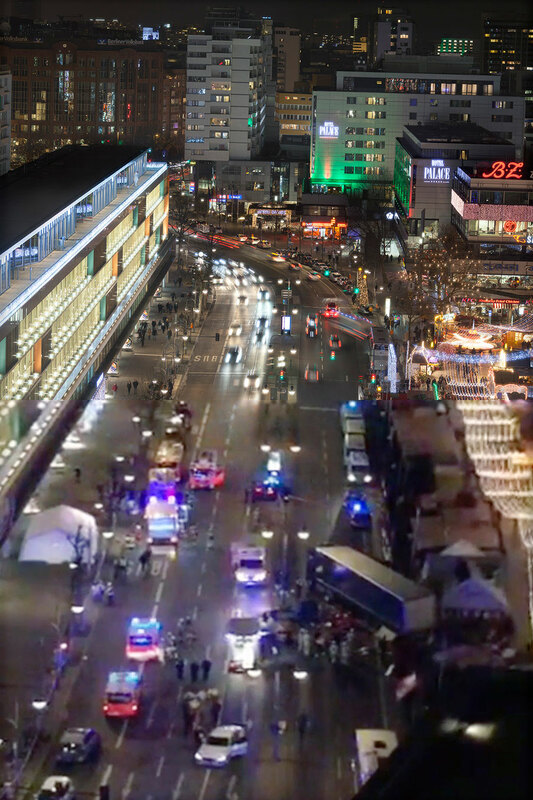 These images are combined with photos of the same locations, returned to normality in the aftermath of the attacks. The works are shown as prints in lightboxes.